Most people would consider themselves fortunate should they get 150,000 miles out of a car engine. For Rachel Vetch, however, her car has passed the 150,000 mile mark well over three times and it's still going. Hello friends, this is Doug Batchelor. How about an amazing fact? Most people would consider themselves fortunate should they get 150,000 miles out of a car engine. For Rachel Vetch, however, her car has passed the 150,000 mile mark well over three times and it's still going. Her vehicle is a 1964 Mercury Comet Caliente that she bought new off the lot for a mere $3,289 and that low price even included all the upgrades. 89-year-old Rachel has given her beloved the car the nickname "chariot," which is fitting considering it has safely carried her over 540,000 miles on the original engine and it's still going strong. Mrs. Vetch, who still drives the car, confesses at times she's driven up to 120 miles an hour. The 43-year-old car has actually outlasted her three husbands. Rachael adds "with significantly less trouble". What's her secret? For one thing, Rachael faithfully takes her chariot in for all scheduled maintenance. We should mention that she refuses to leave the Mercury's side during any servicing or inspections. She also makes sure to show the mechanics a diagram outlining all the grease fittings on her car. Another tip, Mrs. Vetch has always been on the lookout for lifetime warranties on any parts and when she finds one, she makes sure to get the most out of it. Rachel's car has gone through seven Midas mufflers, three sets of Sears' shocks and sixteen batteries from JCPenney's. All for that price of only one original. Those half-a-million miles also included a recent trip to Rachel's 70th class reunion, a trip that added 3,000 miles to the historic odometer reading. If a little loving care and regular maintenance can multiply the lifespan of a car, it makes one wonder how long our bodies might last with proper care. Stay with us friends. We're gonna learn more as Amazing facts brings you this edition of Bible Answers Live. Pastor Doug Batchelor: This is one of my favorite things to do, to gather together with friends from around the world and we get to open the word of God with you. Friends, you found your way to Bible Answers Live. This is a live international Bible study. We're going to talk about the word of God for the next 58 minutes and if you have any question related to the Bible, you can make a toll-free phone call right now. We'll do our best to answer your Bible question. That number 800-GOD-SAYS, that's 800-463-7297, and I should add right now at the beginning of the program we've got about half our phone lines open. So pick up your phone now, call in your Bible question. We'll do our best to answer it and good chance you'll get it in before the program's over. My name is Doug Batchelor. Pastor John Ross: My name is John Ross. Good evening listening friends. Pastor Doug. Let's begin with a word of prayer. Dear father we thank you again for this opportunity to study your word. We ask your blessing upon our time together. Be with those who are listening. Father we recognize that the Bible is your book and in order for us to correctly understand it, we need the Holy Spirit to guide us so we asked for the Holy Spirit in a special way. We ask all of this and Jesus name, amen. Pastor John Ross: Pastor Doug, that was a fascinating fact that you opened the program with-a vehicle that had, what, over 500 miles on the original engine? Pastor John Ross: 540,000 miles, I should add. 540,000. That is, well, at least three times the average of what you'd expect from a vehicle. She must have followed her owner's manual very closely to get that kind of mileage. Pastor Doug Batchelor: Yes, I've actually seen several articles about Rachel Vetch's car and she's extremely fastidious about the--she's got the owner's manual mimeographed and where all the grease fittings are and she likes to stand there and make sure they're taking good care of her car whenever it gets any service or maintenance. They tell her "you can't watch", she goes to another repair shop because she wants to make sure that they really do-- well she really knows cars I guess pretty well. But when I read that I thought--you know--original engine still going and everybody knows our bodies--in this life--we're all terminal. These bodies are not immortal bodies their mortal and the older we get the more mortal we realize we are. But there's an awful lot of the Bible tells us we can do to milk extra mileage out of these bodies. And you know right now especially with all of the discussion about the healthcare crisis in North America, I don't know if people realize how much the Bible has to say about how to take care of our bodies and where better to go for that information than the one who designed the human body. He has the owner's manual, so the owner's manual for the human body is in the Bible. There in the beginning, God outlined a number of secrets to longer, stronger life and when people follow those things, it makes a big difference. Pastor John Ross: And of course what the Bible has to say about health not only sustains your life but gives you a better quality of life. It's one thing to limp along and rusting out but rather you wanna be like Moses, who has good strong health right to the very moment of his death. Pastor Doug Batchelor: You know it's incredible--it tells us there in Deuteronomy that Moses climbs the mountain the day he dies, his eye had not dimmed, his natural force had not abated and he had strength and mobility and clarity of mind up until the day of his death and then he goes to sleep. And the same thing with Aaron and Miriam and a lot of people in the Bible--when the time came they died. You know one of the reasons we have the healthcare crisis in North American is--there's several primaries reasons--but we're really not hearing a lot about the main reason. If nobody was sick right now, we wouldn't have such a crisis. It's so simple. People now instead of getting sick the last six months or 8 weeks of their life and dying, people now are getting sick the last 30 years of their lives and the rest of the society cannot afford to sustain a population that dies over the last 10 or 20 years of their life because of heart disease and diabetes and a lot of these things are brought on by the American lifestyle-not enough exercise, eating too much sugar, too much fat. And people are killing themselves off and nobody's talking about that as the biggest, most practical thing we can do. We can eliminate the healthcare crisis if everybody in America would follow the Biblical principles for one year, the the crisis would be over. The hospitals would all of a sudden have vacancies. And the answers are in the Bible. These are proven scientific answers. How people can have longer, stronger life. And we have a free offer if people want to know what some of these vital secrets are. Pastor John Ross: You know, I hope a lot of folks will call in our toll-free number to find out about what these Bible secrets are to a longer, healthier, happier life. We have a study guide called God's Free Health Plan and it's free. All you need to do is call our resource line 1-800-835-6747. Ask for theAmazing Facts study guide God's Free Health Plan and you will find out what the Bible says are the secrets to a healthy life. Pastor Doug Batchelor: Yep and do order that lesson, friends. It's got some good documentation in it, it's illustrated, it's a beautiful study and it's free so you don't want to miss that. Pastor John Ross: Well, let's go to the phone line. . .
Pastor Doug Batchelor: Unlike our health plan. . .
Pastor John Ross: You mean it's not free? Pastor Doug Batchelor: Not for everyone. Pastor John Ross: We'll go to the phone lines. Our first call is Karen, calling from Florida. Karen, welcome to the program. Karen: Hi, thank you very much. I had a question--it seem a kind of common question--I know someone was kind of confused about it before--Jesus, before He ascended to heaven, He told his disciples that He was going to leave the Holy Spirit with them because the Holy Spirit could always be with us. I guess He couldn't be everywhere the same time. My question is-do you believe that Jesus, right now, that He sees every single believer and do you believe also that He is with us in some way or the Holy Spirit is with us in some way only or if you just equate the two as being the same one? Pastor Doug Batchelor: All right, first of all, if you remember--after this question-- we have a book will send you on the Holy Spirit and it's free. We'll give you a copy. It's called The Holy Spirit and--secondly, John 14:17--Jesus is speaking here--and He said "even the spirit of truth whom in the world cannot receive because it sees Him not, neither knows Him but you know Him for He dwells with you and will be in you" and then Jesus said "I will not leave you comfortless, I will come to you". So now He says the Holy Spirit will be in you and then He says "I will come to you". And of course as Christ ascended to heaven answer, He said "I am with you always". So the way that God--and Jesus in particular, is your question--is with us is through the person of the Holy Spirit. So does Jesus sees every believer? Yes. One of the definitions for God is He is all-knowing and because God is all-knowing, He hears every prayer. He sees us--Jesus can see not only every believer but every person just as though we have his undivided attention. Twenty-four hours a day, He can see us. Just--how God does it, I don’t know, but He can. Pastor John Ross: You know we have another verse in Matthew 18:20. Jesus says, "For when two or three are gathered in my name, there I am in the midst of it". So through the Holy Spirit, Jesus is there. Karen: Amen, thank you so much. Pastor Doug Batchelor: And make sure and ask, Karen, for that free booklet that we've just come out with on The Holy Spirit. We'll be happy to send you a copy. Pastor John Ross: The number is 1-800-835-6747. That's our resource line and the book is The Holy Spirit. Our next caller is Abraham, listening on the Internet from New Jersey. Abraham, you there? Abraham: Okay, I don't know if this is gonna be a question or comment. Can I read two versus before I ask you that question? Pastor Doug Batchelor: Well if it's a question just--yeah, go ahead. Abraham: OK, alright, let me ask a question first. My question is--Jesus Christ--we've been told in the Bible that those who protect themselves, their gonna lose their life but if anyone loses life in my namesake, Jesus says, He will find it again but, you know--it's sad we live in a time that, you know,--we live in a time that we know crisis is going on, I'm talking about economic crisis but it's so sad even among God's people--I'm talking about professed people of God--it's so sad that a lot of people try to protect themselves. They tried to hold the money that God--God has his own money that He been trust them--they tried to hold their money that He's been trust them. They tried to hold their money and it's so sad. Pastor Doug Batchelor: Whatis your question, Abraham? Abraham: Do we have to protect our own lives or do we have to trust in Jesus Christ and I have two verses that goes with what I'm trying to say. Pastor Doug Batchelor: All right. Read your verse. Abraham: Let me read it. The first one is coming from Revelation--you probably know this one--Revelation 14 verse 12. It says "here is the patient of the saint. Here are those who keep that commandment and the faith of Jesus." And then another one I'll do fast--this is Hebrews chapter 10 verse 38, it says--Paul says "now the just shall live by faith, but if anyone draw back, my soul has no pleasure in Him". So why God's people try to protect their own life? Pastor Doug Batchelor: When you say "why do God's people try to protect their own lives", naturally God doesn't us to tempt the Lord and walk off a cliff and say "well I'm not gonna try and protect my life", so there's a certain amount of natural of precaution the Lord wants us to take. Jesus said "if they persecute you in this city, flee to another". He doesn't want you to stay there and say "oh well, I'm not gonna protect myself", He wants you to be as useful as you can be. You're right that God's people should be trusting the Lord as we are doing his will and following his word. We don't need to be afraid. One thing I'm observing is that some people, because of the economy, they're hoarding money and hoarding food up in the hills and they're really trying to save themselves and I think, you know, even the children of Israel and try to hoard the manna and it didn't do them any good. We do need to live by faith, but God also wants us to use common sense. There's nothing wrong with a Christian having a savings account, especially if you have kids and you're hoping to put them in college or you were going to retire someday. I think the Lord wants us to plan ahead. Jesus said that we should do that. So hopefully that addresses the balance of what you were talking about Abraham. I appreciate your question. Pastor John Ross: You know we do have a study guide dealing with the subject of money and how the Christians ought to approach it. It's called In God We Trust. It's an Amazing Facts study guide. Pastor Doug Batchelor: Yeah that's right down the. . .
Pastor John Ross: So for anyone listening wanting to know more about what the Bible says about your money then give us a call 1-800-835-6747. Ask for the study guide In God We Trust and we'll be happy to send that out. Wilbert is listening on KJIT from North Dakota. Wilbert, welcome to the program. Wilbert: Thank you, thank you. Pastor Doug Batchelor: And your question, Sir? Wilbert: Does the Bible say anything about the Ark of the Covenant being found in the last days? Pastor Doug Batchelor: Some people have read--is that Revelation 11, Pastor Ross, where it says "I saw the temple of God open in heaven and the Ark"? Pastor Doug Batchelor: In Revelation 11 it mentions the ark of the covenant and, of course, Revelation is full of visions and so whether--it's full of symbolic visions--whether it's saying that means the Ark of the Covenant is going to be found or if God is simply directing the attention of his people back to his law. That's where some get that. Pastor John Ross: The verse is this--Revelation 11:19 "and the Temple of God was opened in heaven and there was seen in this Temple the testament". So John is quite clear that what he saw in vision was the heavenly Temple and he saw the Ark of the Covenant. . .
Wilbert: What about now on Earth? Nobody has found the ark? Pastor Doug Batchelor: No, I don't believe anyone's found it. There's been a couple of individuals that claim that they've found it but they're keeping it secret, or gonna be disclosed for some reason. All those reports I've looked at have seemed really dubious. Wilbert: You've heard of Ron Wyatt? Pastor Doug Batchelor: I have and I don't question the man's sincerity but I really don't think that the Ark of the Covenant is underneath the place of . I've been there. . .
Pastor John Ross: Well you know it is a fascinating ought to think about it that the ark is somewhere and we understand it was hidden just before the Babylonian captivity. It's somewhere in possibly a cave. Pastor Doug Batchelor: Probably in the vicinity of Jerusalem because when it was hidden, Jerusalem was surrounded by the Chaldean army and so they couldn't get out they were besieged. So somewhere in one of the--Jerusalem is actually honeycombed underneath the city with caves and with grave--you see them everywhere there. It's a limestone hill and it would have been very easy for the priest and Jeremiah the Prophet to secure that in a cave and plaster it with a cover or cave it in and seal it somehow and you'd never know. There's so many you have to dig out from the thousand graves to find it. Wilbert: So what about a cave under the site of the crucifixion? Pastor Doug Batchelor: Well I've been there. The geography just doesn't lend itself to that and the report that Ron Wyatt gave, it just wasn't there. I know people that have gone and there's just nothing there. Again, I--I don't think it's been found. If it has been then I think the Lord would want to make that permanent. It wouldn't be a hidden mystery of one person. But you know we really have the treasure of the Ark. We've got it today. The treasure of the Ark was not the golden box, the treasure of the Ark was the word of God written on those stones what's written on those stones is in our Bibles. It's in Exodus chapter 20 it's in Deuteronomy chapter 5. That's the treasure of the Ark. It's the word of God. Pastor Doug Batchelor: I appreciate your question. By the way, we've got a study guide. It's got the Ark on the cover and it's dealing with "written in stone" and it's actually in the lesson Written in Stone. It talks about the Ten Commandments in particular and talks about the Ark of the Covenant. We'll send you a free copy, Wilbert. Pastor John Ross: We also have another one dealing with the sanctuary and it talks about the Ark of the Covenant--God Drew the Plans. So, Written in Stone or God Drew the Plans. Just ask for the study guide talking about the Ark of the Covenant and they'll send it out. 1-800-835-6747, that's our toll-free line. Thomas is calling from Toronto, Canada. Thomas, welcome to the program. Thomas: How are you doing Sir? Pastor Doug Batchelor: Fine. And your question? Thomas: Great. I actually have one verse for each of you. I won't read them, so that'll make it quicker. Genesis. Pastor Doug Batchelor: Genesis, what was the first part? Pastor Doug Batchelor: Okay, you can go to James one, John. Pastor John Ross: All right. Pastor Doug Batchelor: and I'm in Genesis 4:7. You want me to read this? Thomas: Yeah, I guess it would be good to read it for context for the viewers. Pastor Doug Batchelor: "if you do well, shall thou not be accepted? And if thou doest not well, sin lies at the door, and unto thee shall be his desire and thou shall rule over Him"
Pastor John Ross: What was the verse in James? James 1:14, is that what you said? Pastor John Ross: "but every man is tempted when he's drawn away by his own lust and enticed, then when lust is conceived it bringeth it forth sin and when sin when it is finished bringeth forth death." Thomas: Okay, great. This is my question--and given I used a verse at the beginning of history, I guess, with God dealing with Cain and his sin, and the fact that we have--the sin is characterized by three categories: pride of life, lust of the flesh, and lust of the eyes. If it can be shown and proven--which is not accepted widely at all--as with wisdom is personified in the Bible as being a woman and is it possible that if sin is personified as a Satan or our enemy, as a wicked one, but in truth, sin is our own desires, sinful desires, that we've inherited being human and sinners from Adam. Would you agree that it could be possible that the only route of sin and temptation in our life is our own desires which are fueled by send that is in the world, which gives us pleasure in most cases? Pastor Doug Batchelor: Well, there is an evil power called Satan. He exploits our natural selfishness. All sins spring forth from selfishness. Now the first temptation, you'd have to ask--Why did the first people act selfishly? What changed?--and the story of the Devil and his fall. By the way, the Cosmic Conflict DVD just came out. Anybody that wants to understand where Satan came from and why there's evil in the world--it's called cosmicconflict.com. There's a new DVD the just explains all the Bible says about that. Anyway, Max, thanks for letting me stick a commercial into your question. Or Thomas, rather. Anyway so--people do have a natural selfishness in their heart. But the Devil exploits that. He capitalizes on it. Thomas: Can I follow it up with one question? Thomas: And I do respect that that's the view and I held that all my life until I just did some more research. But in very specific terms Ezekiel--Isaiah 14 Ezekiel 28 are coupled with a lot of verses to support angels, right? And to support the idea that Lucifer, a fallen angel, was in the garden--but you can easily refute that by just quickly looking at Ezekiel 28 where it says that--in verse 28 and verse 16--it says that the man, the King of Tyre, was a traitor, right, and he amassed precious stones and in verse 13, it says "You were in Eden, the garden of God", right. And you look at verse--chapter 27--it says the nation of Tyre--in chapter 27 verse 22, 23--it says "certain nations. They traded with were known to them beyond a time of the Garden of Eden and the garden of God", right, and one of the nations was Eden area. So I think it's a complete wrong association to try to suggest--I'm not saying you are particularly--but that passage has anything to do with the garden temptation. Am I right or wrong there? Pastor Doug Batchelor: Well, I would disagree. I think that when you understand how to interpret prophecy, it's often true in prophecy that the person and vision will be kin, looking at what happened physically and then it's taken beyond that. The King of Tyre did not live in the Garden of Eden. It mentions specifically Eden. The King of Tyre was not perfect. The King of Tyre was not created, he was born and so the definitions of the person he's talking about is not a human. It's talking about this perfect created cherub that was in Eden and so you can see it in the vision, he's transitioning away from the king to the power that was manipulating this evil king. Thomas: Can you just prove that transition and that particular chapter--chapter 28? Can you show me the transition between--it went from a man to an angel? Pastor Doug Batchelor: I can show you where Jesus talks about Satan being the author of all lies. If you go to the New Testament. . .
Thomas: No, I understand, but I'm just saying this is the problem. Every time when I tried to ask someone specifically on Isaiah 14 and 28-- show me the transition. . Can you learn . . .? Pastor Doug Batchelor: Let me ask you-- well, I think I've answered your question-- let me ask you, Thomas. I'm gonna give you a few more seconds because I'm intrigued. I think you called before with a similar question. Why are you having a problem believing that there is a Devil that can tempt us to sin? Thomas: I think it's because, in doing all the research behind it, it's just that the same suggestion that I do support which some would agree with, is that there's no such thing as an eternal hell torture place. That's been created by mankind's imagination. I believe that the same creation of other gods has led to a god of evil and if we really come to understand the truth of how the Old Testament viewed God, and the belief that God was actually in control and allowed evil to happen to bring about his purposes. . . Pardon? Pastor Doug Batchelor: You asked for a verse that will show how you can be talking to a man and really mean the Devil. In Matthew 16:23, when Jesus is talking with Peter-- Peter a man--Peter is telling Him not to worry about going to the cross. He said "be that far for me" and listen to what Jesus said-- He turns to Peter and He's looking. . .
Thomas: Can I have the verse? Pastor Doug Batchelor: Matthew 16:23. And Jesus turns to Peter, He says, "get thee behind me, Satan, for thou art an offense unto me, for thou savorest not things that be of God, but those that be of men." Now, why would Jesus look Peter in the eye and call Him Satan unless He's really speaking to the power behind what Peter was saying? Thomas: Okay, I'll answer your question. It's because if you look at the context and where carries on, it says after He rebuked "Satan", which is really adversary, He's really speaking to Peter just like he's speaking to all the people who are sick and the next sentence, He says, is "get your mind on the things of the kingdom of God, and not on the things of men". Therefore, that's proving He's speaking to Peter, who had his mind on the things of fleeing persecution from Jerusalem by Jesus becoming their Messiah. Pastor Doug Batchelor: Now when Jesus is tempted in the wilderness by Satan and He addresses Satan-- there's no man around-- do you believe it was the Devil? Thomas: I believe that was an explanation in terms of how people could understand someone that goes through turmoil because Jesus was clearly given power. He could've taken all the kingdom at any point in time, therefore, his pride or his desire in his mind--even though He never sinned--we're there, just like we're tempted, we have desires, but until they conceive sin, James I says, we will not be a sinner unless we allow them to conceive sin. Pastor Doug Batchelor: When Peter turns to Ananias and says, "Why has Satan filled your heart to lie to the Holy Spirit," and he drops dead. You don't think it was really a Devil that inspired Ananias, that it was just Ananias' own bad attitude? Thomas: You know, if you take the word Satan and you say--and you repeat that--and so instead of using a personal name Satan, which is what people think right off the bat, you use "adversary"--what do you think? He could've used "sin" He could've use the word "sin". . .
Pastor Doug Batchelor: Thomas. . .
Thomas: instead He personified sin as a master, as an enemy, as a wicked one. . .
Pastor Doug Batchelor: Brother, hang on one second. You know, if I go the hundreds of verses in the Bible where it refers to the two okay--and the word Satan itself is found 55 times, but that's not counting Lucifer, Beelzebub, or any other names-- you'd have to wear special glasses. If I were you, every time you read about the Devil, there some reason why you're struggling with this doctrine, and I'm still not sure what's at the heart of it because it's such a plain straightforward truth. Pastor John Ross: You know, let me just mention something, Thomas. Let me just add to that first you mentioned. In James 1:14--are we going on a half break? Pastor Doug Batchelor: You can finish your thought. Pastor John Ross: Let me finish up here. It says "every man is tempted when he's drawn away of his own lust". That's that desire for sin, but then it adds "and is enticed". That's the temptation there. That's where the Devil comes and suggests." This is good or you can do this." So that's that temptation, that enticement that the Devil uses, an inclination towards evil and builds up on that to draw away the heart. Pastor Doug Batchelor: That's probably one of the best answers 'cause that was the first verse that Thomas was sharing with us. Now, we do have a lesson--I suspect you've probably already read it or downloaded it--but I would like to offer it again. It's called Did God Make a Devil? And anyone out there, if you've got questions about the reality of this arch villain, then you might want to ask for that. Did God Make a Devil? And call the toll-free number 800-835-6747. Don't forget to write down our website for more information on AmazingFacts.com. We'll be back in a moment with more Bible questions. Pastor Doug Batchelor: Well friends, we're back. We expect some of you have joined us somewhere along the way and if you have, this is a live international interactive Bible study. We invite you to join along. You can listen in as we discuss the principles of truth found in the word of God. You can pray for us as we do our best to search together and find those answers that people are asking or you can call in a question. The number is 800-GOD-SAYS. We got a few people queued up in line, Pastor Ross. But before we get to the phones, we started off at the beginning of the broadcast talking about the healthcare crisis and some of the Bible secrets. Now we've offered a lesson tonight called God's Health Plan, but Amazing Facts just came out with a magazine that has really gone into orbit and it's Called Amazing Health: Eight Secrets To Longer, Stronger Life, Amazing Health: Eight Bible Secrets To Longer, Stronger Life and it really goes through the primary principles of what the Bible says about how you can live longer and even find healing. A lot of people that practice these things not only feel better and have higher quality a lot of sick people that practice these things are healed. Pastor John Ross: The thing I like about this magazine, Pastor Doug, is that it's these biblical principles for a healthy life, but it also gives you the scientific backing for all of these principles that God gives. It's Amazing Health Magazine. Now you might you wondering how can I get that, maybe for myself, maybe for a friend. 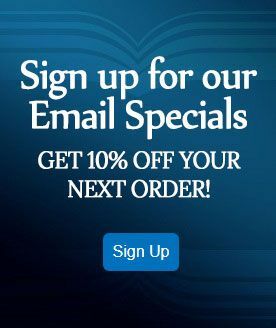 We can give that you free. It's quite a resource. You can go to the Amazing Facts website and there is a link telling you more about the Amazing Health Magazine. A little later, the program will actually give you the address for the Amazing Health Magazine. They're looking it up for us so we can be sure to give it to you correctly, but in the meantime, you can go to the Amazing Facts website and you can click on the little icon Amazing Health and it'll direct you. . .
Pastor Doug Batchelor: I think it's right on the homepage. Pastor Doug Batchelor: Some people hear about--you know you're talking about the Bible and health principles--they think we're using some kind of spiritualistic way of looking at the Bible. These are articles by renowned doctors who are expounding on Bible principles that are proven for health. And it's simple things like exercise, sunshine, proper diet, good water on the inside and out, and some other things--we won't tell you them all. Pastor John Ross: Well, we'll go to the phone lines. Tim's listening from Sacramento. Tim, welcome to the program. Tim: Yes, good evening brothers. Pastor Doug Batchelor: Good evening. And your question? Tim: Yes, my question is in Job, chapter 12 verse 22--my question is, is Job prophesying about our sinful condition of being in darkness, and also about Jesus, who was our light, who redeemed us from death, the shadow of death? Pastor Doug Batchelor: Let me read this for our friends who are listening. Job 12:22, "He discovereth deep things out of darkness and bringeth out to light the shadow of death". You know, I'm not sure that Job is making a prophecy in the statement. Of course, Job--the whole book is a dialogue that goes back and forth between Job and his friends regarding the nature of God in the battle between good and evil, and I think that--I even have to look back and see who speaking. Pastor John Ross: It is Job. Pastor Doug Batchelor: It is Job speaking here. When you get to the end of the book, Job is vindicated by God and you can take what He's saying pretty confidently. Pastor John Ross: You know, I think if you look at this verse specifically, Job is stating pretty much the obvious when it comes to God. God is the one that discovers the deep things out of darkness, those who conspire to do evil in darkness—well, to God it's as if it's the light. It goes on in verse 23 to talk about nations that are rising up and nations that are destroyed. God is in control. And so Job is just highlighting the fact that God knows everything. Nothing can be hidden from Him and He's the one that raises nations up and takes them down. 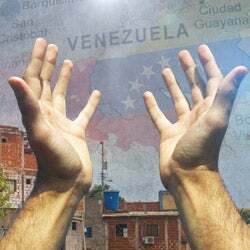 Pastor Doug Batchelor: Yeah, and before and after, He's talking about the strong and the mighty and nations and more, and the Lord is bringing things to light that have been hidden in the shadow of death. God is a revealer of secrets. Pastor John Ross: And of course there's a reference in the New Testament in John to "light" in connection with Christ. It says, "In Him was life and the life was the light of man" in John chapter 1. And so the Bible tells us God is light and in Him is no darkness at all. So you do have the symbol of light being truth and being life connected with God. Pastor Doug Batchelor: What intrigues me is the last three words in this verse, "shadow of death". It sounds King David, who lived after Job, quoted there when he says, in Psalm 23, "the valley of the shadow of death". I never noticed that before. So I don't know if we been any health, Tim, but that's our best shot at it. Pastor John Ross: You've created a--you've raised a great point. Tim: Thank you brothers for taking my call. Pastor Doug Batchelor: All right. Thanks of lot. Pastor John Ross: Our next caller is Elizabeth and she's calling from North Carolina. Elizabeth, welcome to the program. Elizabeth: Thank you so much. My question is in Revelations chapter 20 and I wanted to know-after Satan was bound 1000 years and then he was loosed for a little season, why--I don't understand why God would loose Him in the first place and then who is the people that he would go out and deceive again? Pastor John Ross: Second Thessalonians. Pastor Doug Batchelor: Second Thessalonians. And so--and again it says in Isaiah, the slain of the Lord are lying from one end of the Earth to the other, and nobody is mourning or lamenting them. The wicked do not live again until the thousand years are finished. Now do you have your Bible open there, Elizabeth? Pastor Doug Batchelor: Okay, well if you look in Revelation chapter 20, where it talks about the millennium verse five, "the rest of the dead live not again until the thousand years are finished". Now if the righteous are raised when Christ comes, at the beginning of the 1000 years, who are the rest of the dead? It's the wicked. All the righteous come up when Christ comes and the wicked are still in their graves. So, the ones that Satan's tempting when he's loose are all the wicked who've been raised for judgment. Now, the Devil was the highest of God's creation, before he rebelled. God is getting ready to throw Him into a lake of fire and all his angels. Keep in mind, all the other angels in heaven, billions of them, they all knew and loved Lucifer before he rebelled. God the father is now going to judge Lucifer. After a thousand years of Lucifer being bound with an opportunity considering repents his rebellion--as soon as he has an opportunity he goes back out to tempt the nations again. He does not change. God is showing the whole universe He has no option but to throw Satan into that lake of fire. So the reason God looses Him for a little season is to demonstrate he's had no change of heart, and he's non-repented, and is not redeemable, and the other angels will understand God's justice in destroying Lucifer and his angels. There was a great split in heaven between Satan and his angels, and Michael and Christ and his angels. Now it's not only just a showdown from what's happening on Earth with people, this is a showdown for the whole universe. We have a lesson on that, by the way. Pastor John Ross: We do actually. It's called A Thousand Years of Peace and it's--well, let me give you the resource line again, Elizabeth. 1-800-835-6747. Ask for our study guide A Thousand Years of Peace. If you have a pencil, let me just give you a couple of references that you'd want to look up - Jeremiah chapter 25, verse 30-33 describes what the Earth is like after Jesus comes and then Isaiah 24 verse 1. It talks about what happens when Jesus comes. That'll help clarify why the Devil is bound. He's bound here on this Earth with nobody to tempt because all the wicked are dead. Pastor Doug Batchelor: So the ones that Satan tempts when he's loose for the little season are all the wicked who've been raised. And they've also had no change of heart. Pastor John Ross: They mount their attack upon the city as Revelation 20 tells us. Pastor Doug Batchelor: Hope that helps a little, Elizabeth. If you read the lesson--it's a really good lesson. Anybody who wants to understand the millennium better, send for this lesson on the millennium. Pastor John Ross: A Thousand Years of Peace is what it's called. The number 1-800-835-6747. Jasmine is calling from North Carolina. Jasmine, welcome to the program. Jasmine: Hi. I have a question about alcoholic beverages--drinking them. When I read Proverbs 31 verse 6-7, I get confused because I understand that the Bible forbids getting drunk or being intoxicated, but does the Bible forbid drinking of alcoholic beverages period? Pastor Doug Batchelor: I believe it does in principle, if not other ways. Let me share what some of those principles are. First of all, Paul says, "I won't do anything that gonna make my brothers stumble". And if by Christians drinking moderately, others who do not have that ability--because one of seven people that drinks becomes an alcoholic--then why would a Christian want to do something that would cause another person's life to unravel. So that's one reason. Another reason, when you look at what alcohol does to the body, it doesn't really build anything up. It kills brain cells. Most of the people in hospitals and prisons are there because of sickness and injury and crimes committed while under the influence of alcohol. So, since about 50% of the misery in our society is connected with alcohol--the abuse in homes, the accidents on the freeway, the people in the hospitals and the asylums-- why would a Christian want to support that? Now I haven't even gone to the Scriptures, yet, I'm just saying in principle, there's very strong argument. You read in the Bible--the first time alcohol's mentioned, Noah got drunk. He's walking around naked in his tent and one of his sons gets cursed. Later, you read that Lot got drunk and he slept with his daughters. He didn't plan on getting drunk--he probably planned on having a couple--but he got drunk-- and you can go through Scriptures. Another king of Persia got drunk and he lost a battle. And so you go through the Scriptures and--every drunk starts with a small drink, in other words, nobody takes one drink and gets drunk. They all start with the moderate drink, and then you lose your resistance to temptation. You say "Ah, one more, what difference does it. . ." I know, I used to drink, so I know what I'm talking about. I've got a book I wrote on that. I'll send you for free. It's called The Christian and Alcohol. It's got the Scripture and a lot of what I shared a much more. Would you like that, Jasmine? Pastor Doug Batchelor: It's called The Alcohol--The Christian and the Alcohol. The Christian and the Alcohol. Pastor John Ross: The alcoholic and the Christian. . .
Pastor Doug Batchelor: Sounds like I've been drinking right now. It's The Christian And The Alcohol. Pastor John Ross: Let me give you the number. 1-800-835-6747. You know, Pastor Doug, this is such an important issue. We get it from time to time. How is the Christian to respond to, you know, the social bombardment that you've got a drink to be accepted? How does the Bible--how's Christians supposed to handle that. What does the Bible say? Alcohol and the Christian. 1-800-835-6747. Our next caller is Mark and he's calling from Tennessee. Mark, welcome to the program. Mark: Yeah. My question is about if God views the human body as good and not sinful, why did He like, in the Old Testament, portray bodily functions as nasty and then the Essenes, they considered relieving oneself on the Sabbath as profaning the Sabbath? Pastor Doug Batchelor: Well, you have two separate questions. One is about the natural functions of the body. God doesn't refer to the actual functions of the body as sinful, God just said that when you go outside of the camp to relieve yourself, you should have a little paddle on the end of your or your spear and bury it. And that's simply sanitation. I've been in countries where they don't practice that. I know you have to, Pastor Ross, and boy, I'll tell you, you sure wish they'd read Leviticus. Pastor John Ross: You know another thing on that--God would say that anybody touched something that was unclean they would wash their hands under running water--basic sanitation principles--and they were living in a camp and you had all these people staying so close together you can imagine how disease would spread through the camp. Pastor Doug Batchelor: Now what these Essenes --pardon me Mark, your second part your question, I didn't want to forget it--what these Essenes did, of course--they were following the Bible, they were a cult within Israel that kind of manufactured a lot of laws and even Jesus talked about the Pharisees. They had a lot of man-made laws that they had created that really were not part of God's law so, you know, these Essenes did a lot of unique things and--for our friends who are listening, these Essenes were very religious sect of Jews that lived down by the Dead Sea that probably are responsible for copying the Dead Sea Scrolls, which we're thankful for, but they also practiced multiple baptisms through the day and they're extremely rigid and of course the Bible did not really endorse a lot of that. Mark: You know, like in Levitical laws, it talks about if you have nocturnal emission or menstruation or childbirth, you were considered unclean for a period of time. Wouldn't that imply that those are nasty? Pastor Doug Batchelor: No, for the children of Israel, any kind of the body emission, you were to cleanse yourself. It didn't mean that you were bad. Matter of fact, there's no--they never had to make a sacrifice. Whenever you did anything wrong, that wouldn't imply you had to go off for a lamb and ask for forgiveness. You were never asked to offer a lamb or make any sacrifice or asked forgiveness for any of these things. They were just saying there needed to be a purity and a cleansing to keep your clothing clean and your camp and your tent and your bed and a lot of it's very practical information that people follow today. So there's nothing morally wrong with those things. I hope it helps a little bit, Mark. Pastor John Ross: Thanks for your call, Mark. Next caller is--by the way, before we move on, you know, the study guide, the one we were speaking about tonight, God's Free Health Plan. . .
Pastor John Ross: addresses those things. Pastor Doug Batchelor: Yes, please send for that Mark. Pastor John Ross: Again, 1-800-835-6747 and ask for the study guide God's Free Health Plan. Our next caller is Max and he's calling from New York. Max, welcome to the program. Max: I have a question about Caesar and how the sacrificial system related to his life, meaning, I know that he was ordained as a man of God, of the world, but did he also partake in the sacrificial system? Pastor Doug Batchelor: Well, to some extent, when he was twelve, he went to a Passover. The Bible tells us that. When he was thirty-three, during the Last Supper, that was also a Passover. During the feast of--which is the feast where they pour out the water, Pastor Ross? It's one of the fall feasts when he says "I am the living water". That was during the Jewish feast -- is it feast of trumpets? Pastor John Ross: I'm thinking it was, just before the Passover. Pastor Doug Batchelor: Well, they would pour out the water offering--that's when he said "I am the living water", and so Christ in his life and ministry mirrored a number of the Jewish feast days, basically saying He was the fulfillment of those. 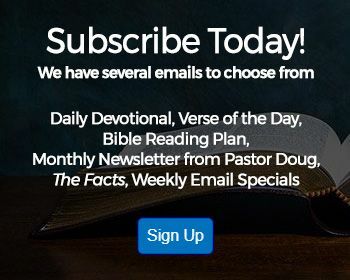 Pastor Doug Batchelor: So once Christ died--Paul tells us that because He was the fulfillment of those things that were shadows, that it was no longer necessary to keep the annual feasts. Max: Right, okay. Do you believe that his parents, while He was a child, also partaked in it, although they were told by the Angels that He was the Messiah? Pastor Doug Batchelor: I think they did, because they had never been told by the Angels--well for one thing, Christ had not died yet. So up until the time that Christ died on the cross, the sacrificial system was still in full effect. When Christ died, you'll notice that the veil in the temple was torn from top to bottom and when Christ was tried, the high priest tore his robes, so the old priesthood and the old sacrificial system, they were torn, they were done away with. And now we have a spiritual priesthood of believers and Christ is our temple and He is our lamb. Pastor John Ross: You know, I just looked up wondering about which feast it was. Leviticus 23:34 is referred to as the Feast of Tabernacles and fifteen days before the Feast of Tabernacles, they had the ceremony where they would pour out the water. You can also read about it in John chapter 7 verse 37 with reference to Jesus. It talks about the last day of the great--or the last day of the Feast-- Jesus stood up and said "if any man thirsts, then He come unto me, and drink". Pastor Doug Batchelor: Now there's a book we can send you for free, Max, that has more information on this. All you've got to do is ask. It's called Feast Days and Sabbaths and will send you a free copy of that. Pastor John Ross: The number is 1-800-835-6747 and ask for the book Feast Days, and Sabbaths by Joe Crews. Scott is calling from Alabama. Scott, welcome to the program. Scott: Hi guys, thank you so much. I've got a question, but I wanted to also comment to Dorothy, who called earlier. I don't know she's still listening. I myself was addicted to drugs and my parents finally, after about 10 years, raised my rock-bottom and they were encouraged to do so and of course it's the hardest thing in the world to do--is tough love and raising the rock-bottom. I just wanted to encourage her to do that in any possible way, to raise his rock-bottom as an intervention sort of thing. Making Him face the facts that he does have to change and not just push it away, going to another room. Pastor Doug Batchelor: All right, appreciate that. What's your question? Scott: My question was in Job in chapter 1-- I'm actually driving the car so I'm not sure exactly what verse--we know that the sons of man came to the Lord, to God, and then Satan came with them, and they said that the Lord said, that God said, have you considered my servant Job. And my question was question, you know, why did God initiate that conversation or, you know, that He initiated it instead of saying "who can I go to" or anything like that. God said, "Why have you considered my servant Job". He initiated it and that's was my question--one of my questions, if I had time for another one. Pastor Doug Batchelor: All right, let's take that one first. When Satan appeared at this heavenly meeting--first of all, the meeting's not on Earth, because God says to the Devil, "Where do you come from?" He says, "I came from the Earth". Now the Devil was claiming the Earth as his dominion. Adam and Eve used to have the dominion, Scott, and when Adam and Eve sinned, the Devil said, "Now this world is mine". Well, God was basically saying to the Devil, "Oh you think the whole world is yours. Well you sure don't own Job. Job serves me. Not everybody in the world serves you, Satan". The one reason that God initiates that dialogue is because God was telling the Devil, "You don't control everybody it is possible for people in that wicked world to still believe in me and live a victorious life. Exhibit A is my servant Job". Now this also reminds us of the words that Jesus spoke, He said, "Whoever confesses Him in this evil and adulterous generation, I will confess their name before my Father and the Angels in heaven". So this is exactly what the Lord did with Joe. He was confessing the name of Job, because Job confessed the name of the father. And so they're in this heavenly meeting, Job's name was brought up, and every believer can say "You know if I'm faithful to stand up for Jesus in my life, Christ is gonna stand up for me before the Angels and the Father". And that's a wonderful promise. I hope that helps a little bit, Scott. And we've got a few more calls we're gonna try and squeeze in before the program, so I hope you'll call back with your second question next week. Pastor John Ross: Our next caller is Bill and he's calling from Michigan. Bill, welcome to the program. Bill: My question is--my son and I were kind of debating back and forth--is there anywhere in Scripture where it says that Jesus is God. There's places all over the place where it's insinuates, you know, that "I am the father, the father is in me. If you see me, you've seen the father. I am the way, the truth, and the life". But is there anywhere that directly says that Jesus is God? 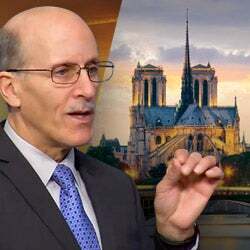 Pastor Doug Batchelor: Well, I think that probably the closest you're gonna come in the New Testament is in John chapter 20 verse 28 where when Christ rises the first time He appears to the apostles, Thomas isn't there. The next week when He comes again, Jesus appears again and Thomas sees Him. He realizes that the Lord is alive and he kneels before Him, and he says, Faith and "My Lord and my God." Now Jesus--if it was not true, He would call that blasphemy or said "Don't refer to me that way". When the apostle John bows down before an angel, the angel says "Now don't do that, worship only God". So that's one of the Ten Commandments. If Thomas was breaking one of the Ten Commandments, Jesus would've said "No, no, no, don't call me God", but, He accepted it. Matter of fact, in Matthew, when they knelt to worship Him, He said "All hail". He invited it. So, we're only told to worship God. In the beginning, God created the heavens and the Earth and then the Bible said, quote all things are created through Jesus. ", so if Jesus created everything, and the Bible says, "God created the heavens and Earth"-- by that kind of reasoning, Jesus is God the Son. Bill: Okay. That was John 20:28? Pastor Doug Batchelor: John 20 verse 28, yes. Now there's a book I'll send you that has a lot of Scripture on Is Jesus God. It's free. No obligation nobody's gonna harass you. All you gotta do is call for it, and it's really on the Trinity. There's a whole section in there on Is Jesus God. And if you ask for our book on the Trinity--it's easy reading and a lot of Scripture. We'll send it to you for asking. Bill: Okay, that'd be great. Pastor John Ross: 1-800-835-6747. And the book's on the Trinity and we'll be happy to send that out. You know, Pastor Doug, in the break we were talking about Amazing Health, the magazine. We've got the dot-com we were wondering whether it was dot-com or dot-org and it is dot-com. Pastor Doug Batchelor: They are both good websites, but the dot-com is for the magazine. Pastor John Ross: That's the one. 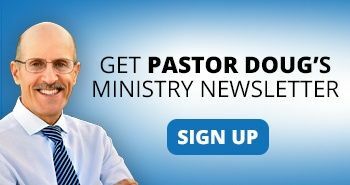 Pastor Doug Batchelor: AmazingHealth.com. You can order them there and change your life. Pastor John Ross: Well, maybe time for one more before we run out of time. Diane is calling from Alabama. Diana, we're gonna have to make this really quick. Diana: Yes, hello. This is Diana. I had a question on the prophecy of Daniel. Diana: Daniel 12:11. I'm pretty--I try and understand as much as I can but when I get to this part it says, "and from that time that the daily sacrifice shall be taken away and the abomination that maketh desolation is set up, there shall be 1,290 days" and then it also goes on to say in verse 12, "Blessed is he that waited and comes to thirteen three hundred and five and thirty days". Thirteen hundred and thirty-five days. I'm not really sure what those figures come into. I made my own calculations as far as when it says—"from the time when the daily sacrifice should be taken away"-- I'm thinking that's the time that Jesus was-- you know, He made his sacrifice on Mount Calvary. Pastor Doug Batchelor: You know, you just pointed out with--we got sixty seconds--you pointed out the chapter in the Bible that has more time prophecies than any other chapter in the Bible, Diana. And, I would almost have to insult you to give you such a quick answer, except to say that there is a historical fulfillment of those three dates 1260, 1335, 1290 there may also be a future fulfillment. Pastor John Ross: Just real quick, if you want to Google a guy by the name of Clovis, King of the Frank's, back in 508 A.D., that's been identified as an event that could be related to this time prophecy. Pastor Doug Batchelor: Yeah, from 508 to 538, you've got that 30 days. Hey, listening friends, we are out of time for Bible Answers Live. God willing, we'll be back next week. Go to the website for more, right now. It's AmazingFacts.com.